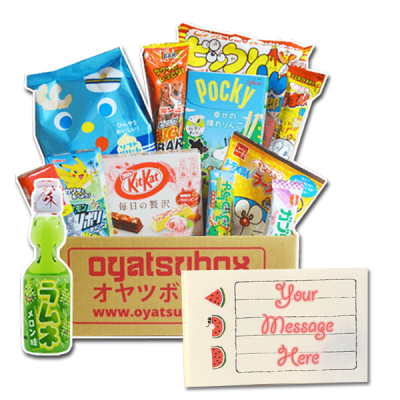 Buy a 1 month subscription to OyatsuBox as a gift (or for yourself!). Your box will ship out with the next deliveries, you can check the time until shipping on our homepage. This is our Oyatsubox but single purchase. Perfect if you just want to try one box or send it as a gift. If you come back and subscribe after trying the box, send us a message and we’ll send you a $5 coupon so you get the single box for the same price as a subscription! So try without hassle! Tracking is available to the following countries with this product. You can still order if your country is not on the list but it will be sent untracked.